Designed by Toronto firm gh3, the park sits on a wedge-shaped 0.5-hectare parcel of land surrounded by a burgeoning neighbourhood of glass condominiums, and a lakeside promenade that is one of the city’s biggest tourist draws. A waveform sampled from Callwood’s voice as she spoke those famous last words was used to map out the paths along the park’s pink granite planks, and to carve out openings throughout a grove of urban forest. 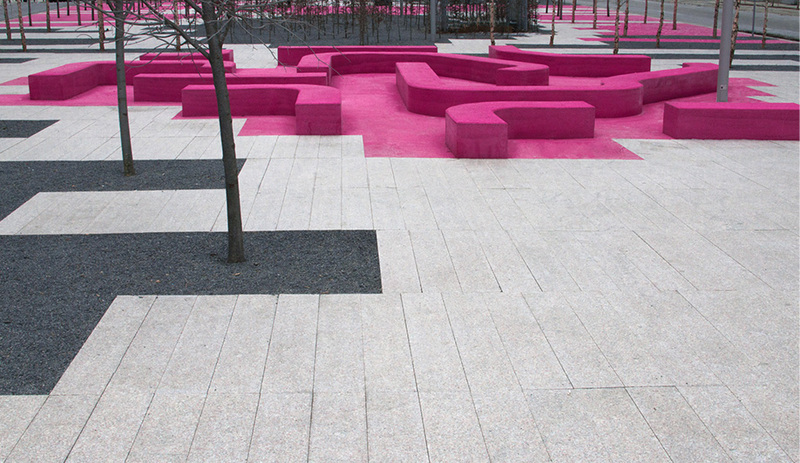 At one corner is the vibrant pink Puzzle Garden, clad in a thermal plastic vulcanized rubber, a permeable surface material made from reconstituted granules of recycled rubber. 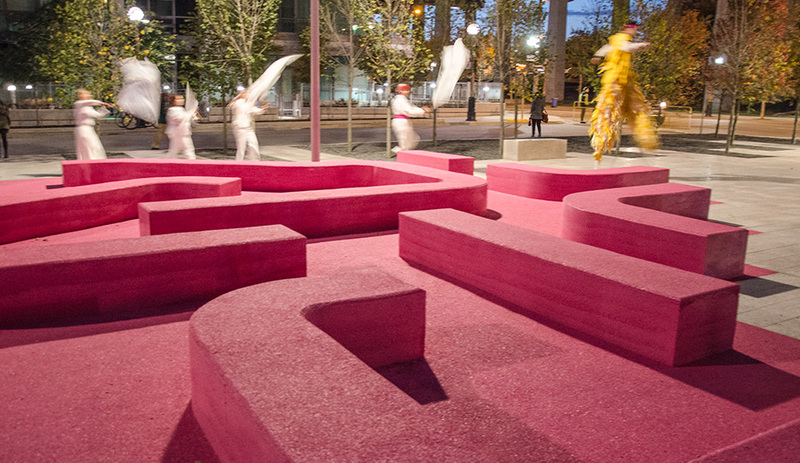 The bench sculpture, which gh3 describes as a “crawlable, modern answer to the conversation pit,” provides places to sit and talk and risers for kids to clamber on. 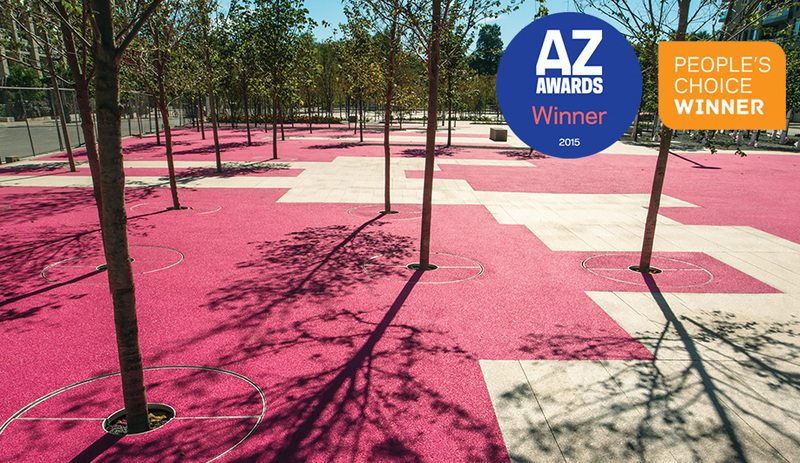 The Maze is formed by snaking rows of beech hedges, and at the centre is the Pink Field, an activity area framed by red oaks and covered with more springy pink TPV surfacing. In all, more than 300 trees have been planted, 89 of which are flowering crabapples (Callwood loved pink). Raised pavers at the southernmost end form an urbanized version of a classic wetland, with a shallow pool in a continuous fill-and-drain cycle during the summer months. At night, light posts by Louis Poulsen, with branch-like lattice detailing, illuminate the park. 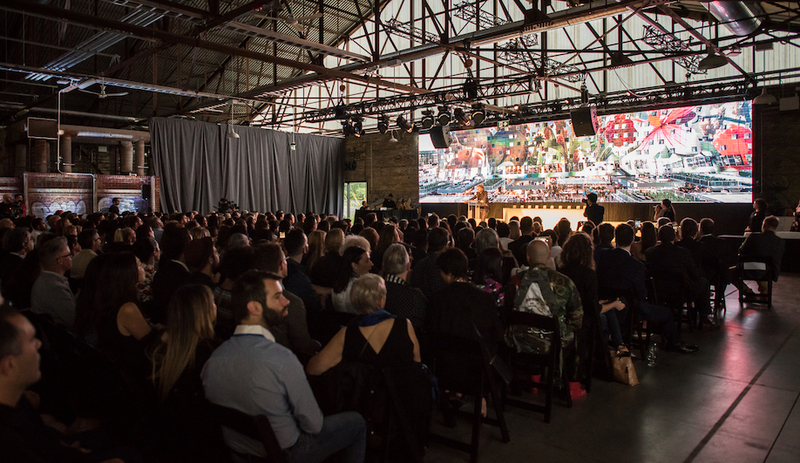 Callwood’s life and spirit are further embodied in a permanent acoustic installation by Steve Bates and Douglas Moffat of Montreal: sensors aimed at the sky turn the shifting cloud coverage into an orchestration of sound across the park.